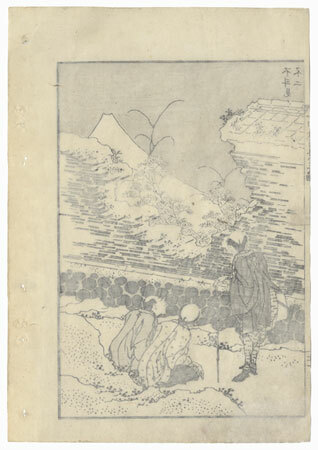 One Hundred Views of Mt. Fuji - Beautiful design from Hokusai's "One Hundred Views of Mt. Fuji." Following the success of his masterwork "Thirty-six Views of Mt. 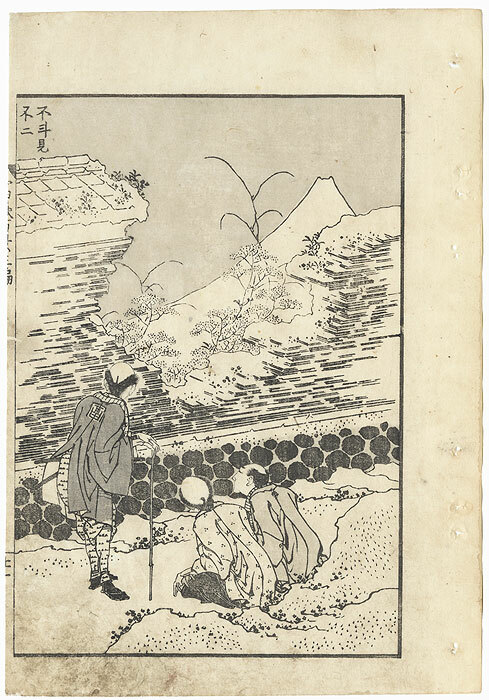 Fuji," Hokusai began this wonderful series of one hundred black and white prints in 1834. Devoted to the sacred Mt. 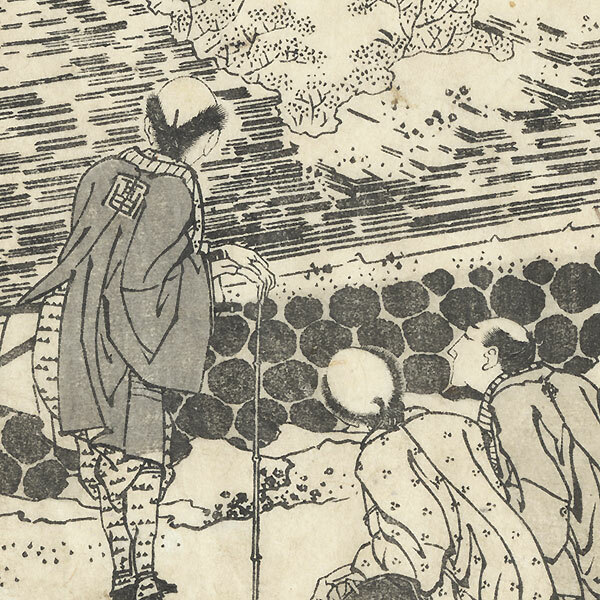 Fuji, each image reflects the importance of Fuji in the everyday lives of the Japanese during the Edo era, and demonstrates Hokusai's incredible draftsmanship and compositional skill. From land and sea, in summer and winter, viewed through an open window and in the reflection of the water, Fuji appears majestic, with an appealing sense of permanence. The series was released in three volumes, with a total of 102 designs, including both single panel and diptych subjects. A beautiful Hokusai series. Condition - This print with excellent detail as shown. Stitching holes at side. Slight thinning at corner, small wormhole, repaired. Slight toning and soiling, a few creases. Please see photos for details.